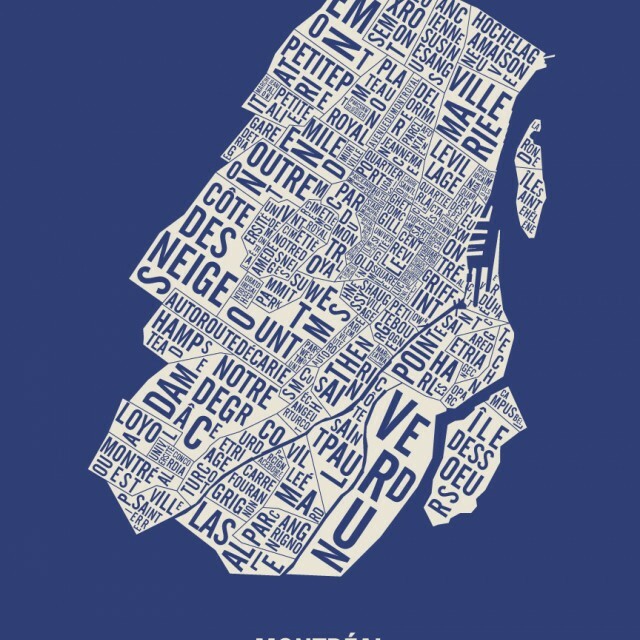 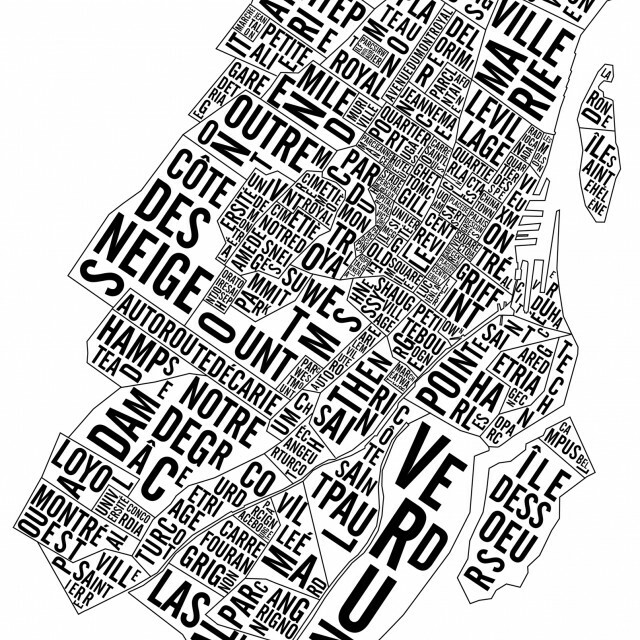 For the real Montrealers, the ones who never find themselves further than 2 km from a metro station, we thought of you and did this Neighbourhoods & Landmarks Typographic (typo or wordle) Map of Downtown Montreal. 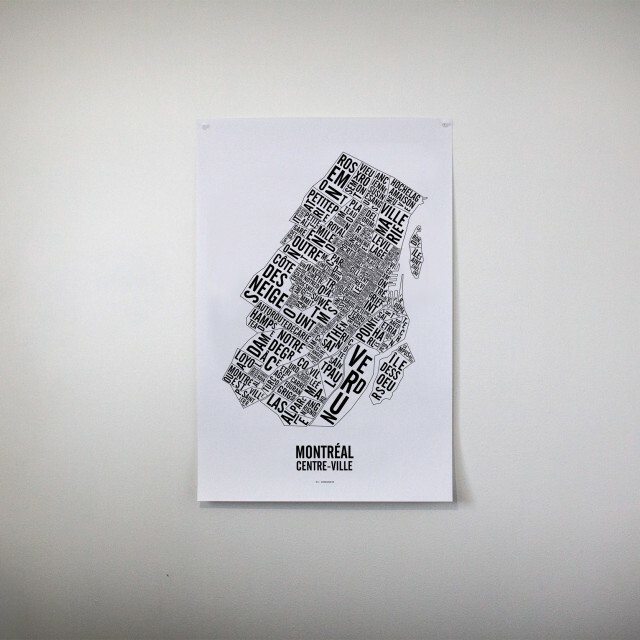 This closed up version of the Montreal Island city Map, it covers from Montreal-Ouest to Hochelaga-Maisonneuve and from Verdun to Rosemont. 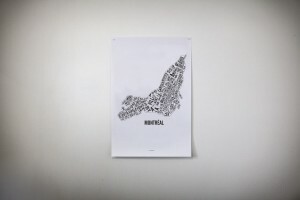 Each poster is printed by hand using the silkscreening technique which make each city map poster unique. 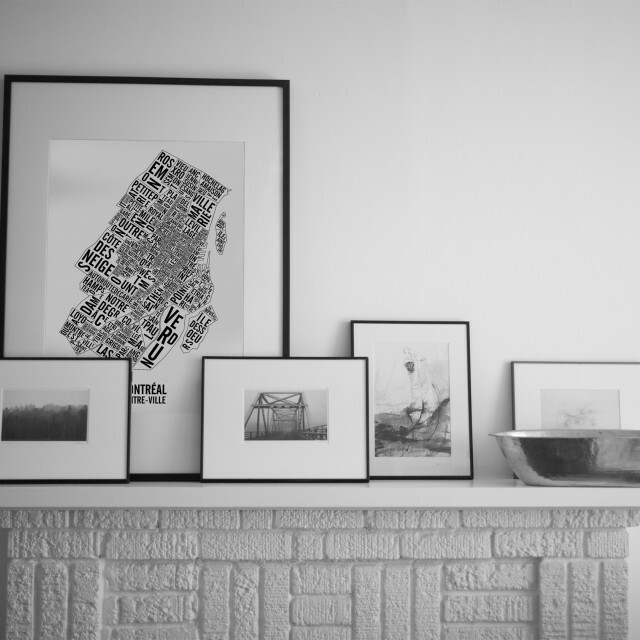 The posters are signed, dated, stamped and numbered. 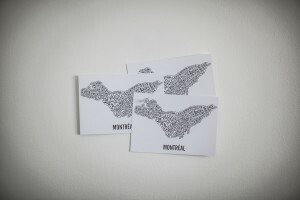 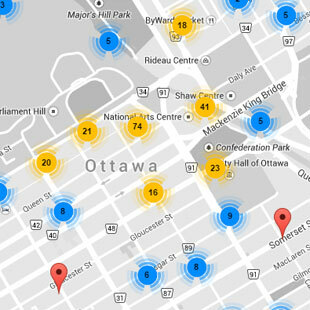 The Downtown Neighbourhood of Montreal city map is printed on thick paper with pearl finish. 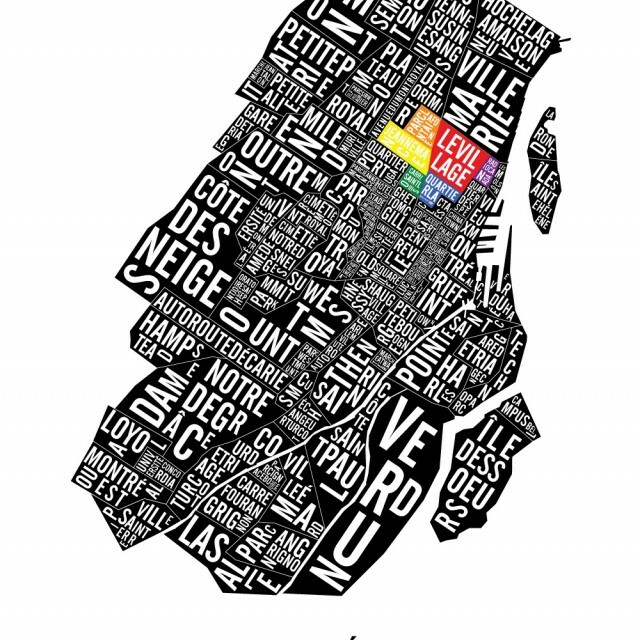 It is available in different formats and colors.